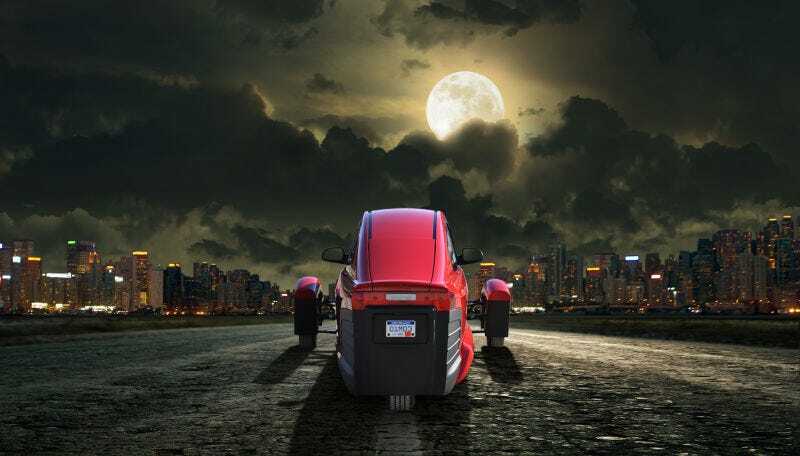 Last week, the state of Louisiana fined Elio Motors $545,000, saying the company is operating as a “manufacturer” and therefore should have a license to accept non-refundable deposits for its proposed three-wheeled ride. That’s not great. In May, Elio Motors reported that it needed $376 million to launch production of its three-wheeled street car and, worse, that it only had $120,000 in cash at the end of 2016. It’s unclear if the cashflow has since improved—the company said it was launching another round of fundraising—but if it hasn’t, Elio better find some money soon. Elio has 60 days to obtain a license, according to reports, but the company said it plans to appeal the decision. “Timing for the appeal and the license application are TBD at this time,” Elio spokesperson Mike DeVilling told Jalopnik in an email. Elio has been in hot water with Louisiana officials for months over the repeated delays in production of the three-wheeled car at a former General Motors factory in the city of Shreveport. The company has pushed back the timeline of when production would begin at the factory for several years. Elio was supposed to have 1,500 people employed as of last month—or face a steep financial penalty–but the company received an extension from RACER Trust, the entity overseeing former GM properties that also provided a $23 million loan to facilitate Elio’s move into the shuttered Shreveport location. That wasn’t the only problem. The Louisiana Motor Vehicle Commission looked into whether Elio had broken Louisiana law that says manufacturer and dealer licenses are needed to sell recreational products in the state. Elio has accepted about 65,000 nonrefundable deposits of $1,000 for its proposed three-wheeled vehicle, but whether it’ll see the light of day remains a long shot. And after a meeting last week in which Elio had a chance to defend the practice of accepting donations for a vehicle that might never be built, the commission determined that Elio needs to obtain the licenses, as KSLA in Louisiana explains. Attorneys for Elio Motors argued that the practice is not in violation of state law because the reservations are just for spots in line and do not guarantee actual sales. However, the commission’s attorney and executive director pointed to Elio Motors’ website and news releases that use words like “buy,” “sale” and “own” as evidence of intent to sell. When asked by the commission chairman where the $27.8 million in reservations for their cars is, Elio Motors’ attorney could not say. “We do not believe the findings were in harmony with Louisiana motor vehicle laws nor in the best interest of the people of Louisiana or Elio Motors, and plan to appeal the decision,” Elio said in the statement. When the appeal comes, per the Elio spokesperson, is to be determined—but if the company doesn’t act within 60 days, it faces an additional $5,000 fine per day for failing to obtain the licenses. Again, Elio’s cashflow may have improved since December—but if the commission’s decision is upheld, it’s hard to see how this isn’t a death knell.